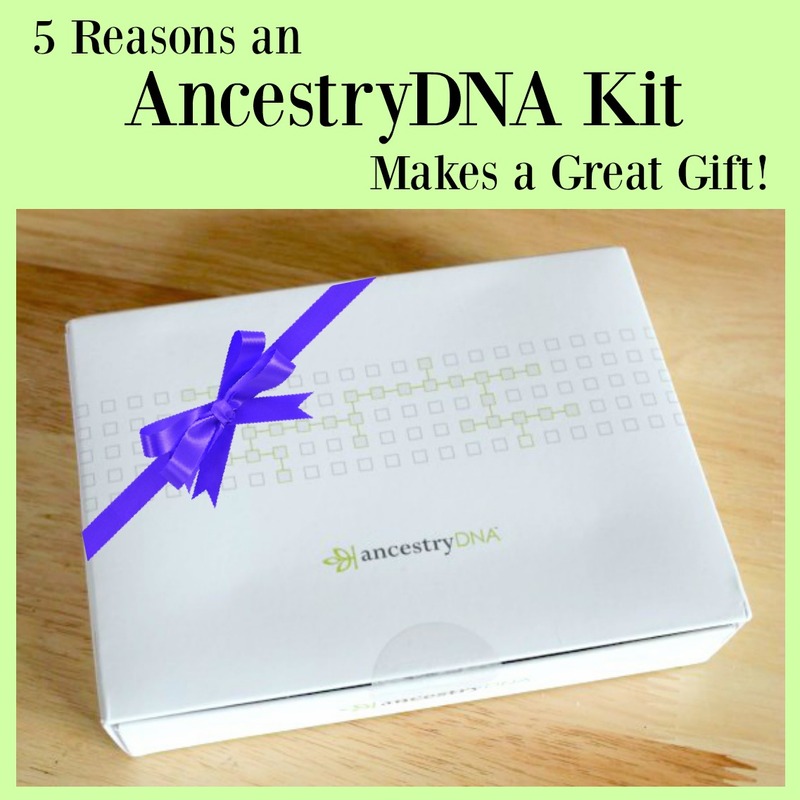 5 Reasons AncestryDNA Kits Make Great Gifts! My Ancestry DNA journey has been amazing! What a great experience! First, I ordered my Ancestry DNA test (you can read about how easy that is, here). A few weeks later, was so excited to receive my results (read about that here). AncestryDNA is a new DNA testing service that utilizes some of the latest autosomal testing technology to revolutionize the way you discover your family history. This service combines advanced DNA science with the world’s largest online family history resource to predict your genetic ethnicity and help you find new family connections. 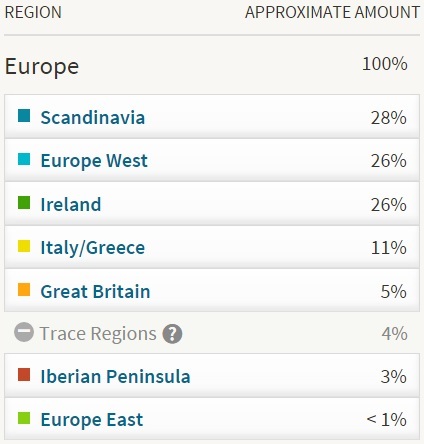 It maps ethnicity going back multiple generations and provides insight into such possibilities as: what region of Europe are my ancestors from, or am I likely to have East Asian heritage? AncestryDNA can also help identify relationships with unknown relatives through a dynamic list of possible DNA member matches. To give you a little sneak peek – my results came as a surprise! Both of my parents are deceased and I don’t have much access to family records, so this DNA test has been exciting. My husband’s test results also came as a surprise. The cool thing is that together, now we are able to tell our children exactly what their ethnicities are. There are so many reasons the Ancestry DNA kit makes a great gift! As soon as I got my test results and shared them with friends and family, I was faced with a barrage of questions. People were excited and wanted to know more about the process. I hadn’t met anyone else who had taken a test, and it inspired a bunch of people to buy a test. I really don’t think you can go wrong with a gift like this! 2. It is very informative. Not only is it fun, it is informative. It is a useful tool for tracking down your ancestors and also being able to give that information to your family. My husband and I had no idea what our results would be, and this is a huge insight! 3. It is a unique gift idea. 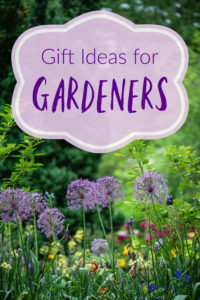 I know I struggle to find gifts for people all the time. I never want to inadvertently get something for someone that they might not like or that isn’t useful or ends up going to waste. 4. It is useful and can benefit more than one person. Obviously, the recipient will be able to see a breakdown of their entire ethnicity. But this can be the start of unlocking other parts of the family tree. So even if you have taken a test, it still makes sense to buy one for a parent, because as we discovered, that doesn’t mean your parents will know which ethnicities come from them! 5. It is usually a pretty good bet the recipient will be happy to receive the kit. Unless the person is absolutely sure about their ethnicity or has already taken a test, you can be pretty sure it is a cool gift that the recipient will be happy to receive. And it is a very small chance they have taken a test before, so you don’t have to worry about getting something they already have. 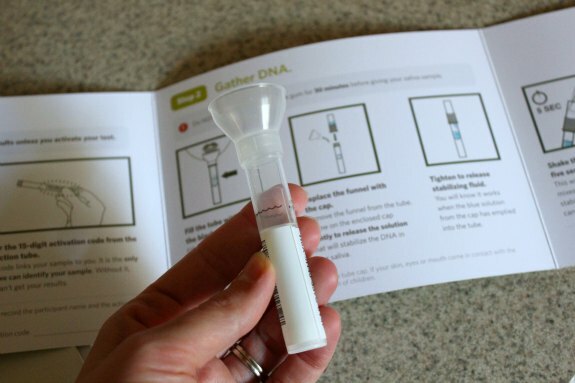 Ancestry DNA tests run about $99. That is a decent chunk of money – but it is doable. You can go in on a kit for your mom or dad with your siblings. Make it a gift from more than one person. Or even combine holidays – for example, we combined Father’s Day and birthday to make one big gift. Discover your ethnic origins with AncestryDNA. Follow on Facebook, Twitter, Pinterest, Google+, Tumblr, and YouTube. I received an AncestryDNA test earlier this year in exchange for my honest review. I ended up purchasing another as a gift, and the kit is one of my top gift picks for this year! We were just talking about this at work the other day. Two co-workers had just received their results the day before and were super excited. I am going to try and see what my results are! I often wondered what my ancestry is all about. I’ve heard of this company and their great reputation. I have seen so many people doing this and writing reviews. I am not yet on board with mailing my DNA yet, but I do want to get a test like this done some day. I have heard fabulous things about Ancestry’s DNA kit and see so many shocked, happy, excited and more educated about who they are! I would love this as a gift to myself. And then for my son when he is older, as he is adopted and it might be helpful! I love this idea. I mean most Americans are such a mix we may have ‘heard’ where we are from but sometimes family stories are just that. I think his would be super interesting. We did this couple years ago and couldn’t wait for our results. It was our gift to each other that Christmas. Wonderful thoughtful gift. I have always been curious how my DNA would come up. My family does know a lot about their family past and history but I wonder how much of it is accurate and how much is just what they decided to lay down. This would be fun to do. I have considered getting my dad this for Christmas. He has always been interested in this sort of a thing. I may need to look into it a bit more. I might have to get some of these as gifts. Heck, I would love to get one as a gift. This is so interesting to me. I would love to know where I come from. This would be a awesome gift. My aunt loves genealogy and this is a gift she would definitely enjoy. I also have a friend who was adopted at birth and she was able to learn more of her heritage with the results. I have an idea about my roots from Europe but i would like to know the whole story. I would like to try this for me and my husband. Yes, we did our DNA tests last year and were really surprised by some of the answers. It’s so interesting. I know a few people that were shocked and a couple that refuse to believe it. I think it’s fun. I want this as a gift this year. I think it is so fascinating all the things you can learn from these kits. Both myself and my Mum have done one of these it was so exciting seeing what came back! I am adopted as well so ours were both so different. I recently logged on and found it had updated as well giving even more insight which was amazing! I’ve always thought these Ancestry DNA tests are pretty cool. It would be a fun way to learn more about your family history. I gave this to my family last year for Christmas. It was so much fun! We loved seeing how accurate they were by identifying my mom (no connection via the internet) and it was spot on. Wow! I never knew that such a DNA test exists. Yes, It’s fun and exciting! So curious to make it, too! I think these kits are so cool! I would love to try one and I think they would make great holiday gifts!! I have thought about these for a long time. The really sad thing is we know nothing about our family at all! Would be interesting! I’ve been wanting to try this but I can’t find it here yet. I hope they will release this product soon. Yes, I agree this would be an awesome gift! I’ve always heard about these test but never really looked into them till now. I would love to try this one day, I think it would be neat to see my family history. I just bought one of these! I am so excited to use it! My mom did it and the results were fascinating. Yes people love to know their ancestry. Giving ancestry DNA kit will be wonderful gift ideas. I’ve been considering this for awhile… and yes would totally make a fun and really interesting gift idea! I bet there are always surprises with results!